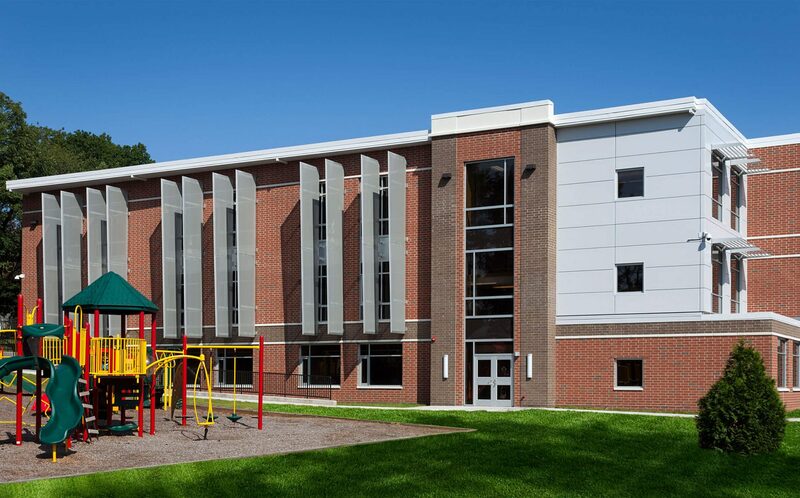 As part of a multi-step plan to expand and upgrade their schools, a 23,000 square foot addition at School 2 was designed to accommodate students previously housed in leased facilities and temporary trailers. 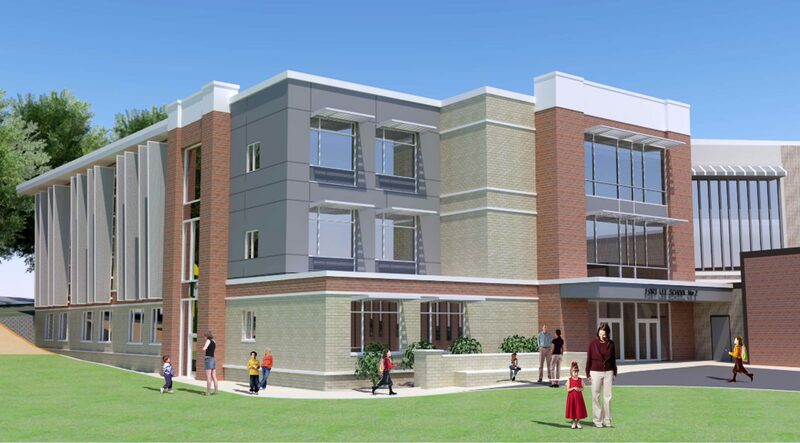 The three-story addition provides much needed permanent classroom space for students in what will become a K-4 school. 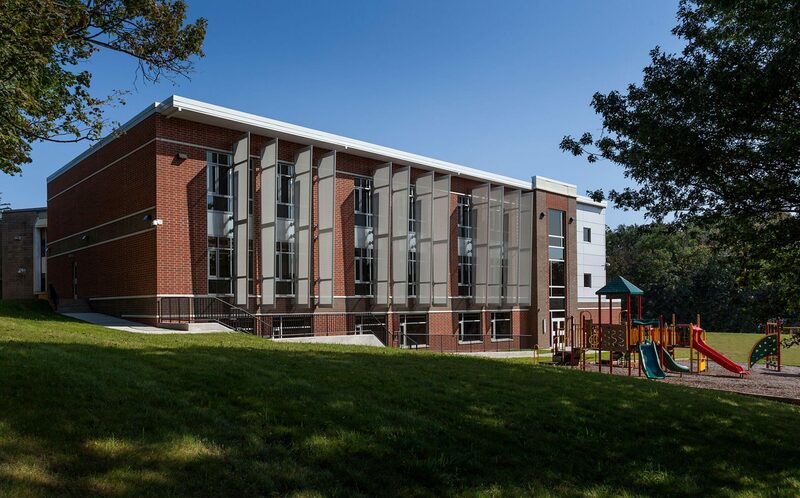 The addition was designed to nestle in to the rear of the existing hexagonally-shaped building, to minimize its impact on the already small lot. 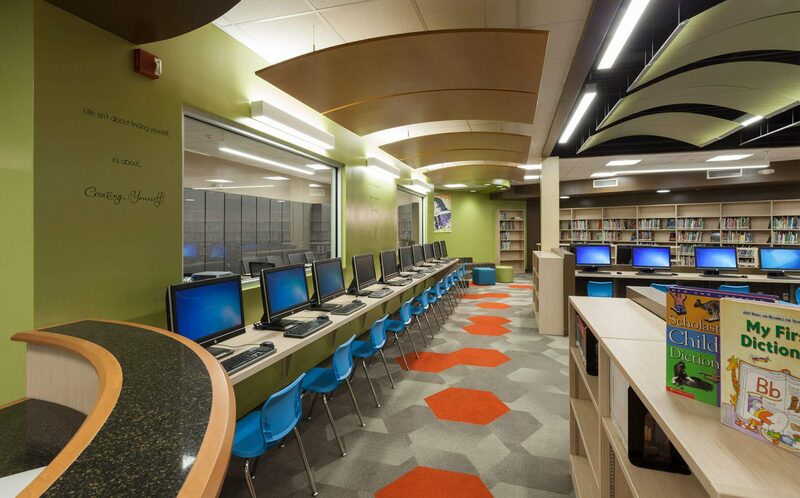 In addition to the new construction, several areas of the existing building were renovated, to create a series of small group rooms, as well as a new media center. 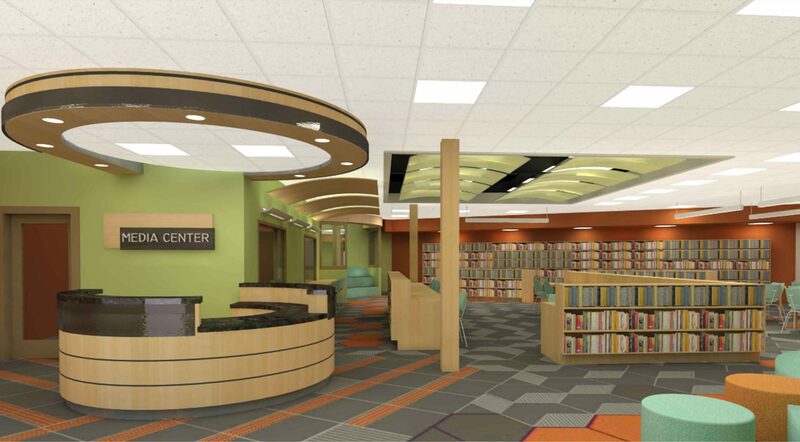 A new main entrance was also created to provide added security to the building, and existing ceilings were replaced throughout. 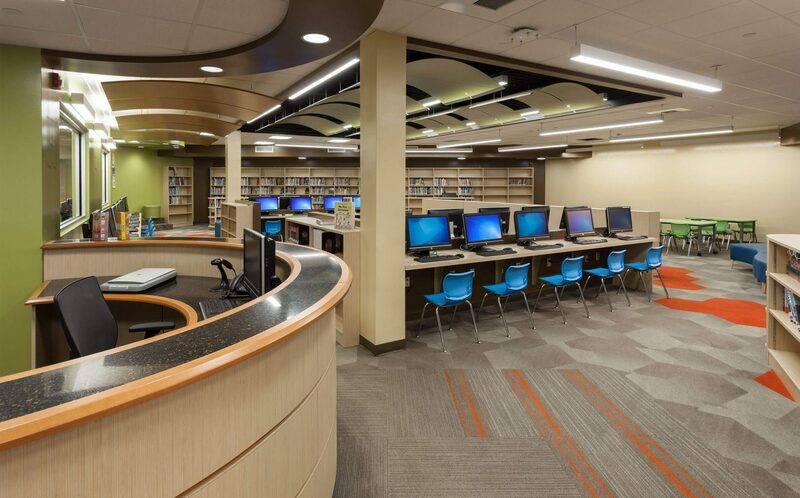 At the same time as the addition and renovation project was underway, a component of the District’s ESIP project provided for new LED lighting, building controls, and a full new HVAC system. Combined, these efforts have transformed the 1970s-era building into a modern, efficient, fully cooled environment.